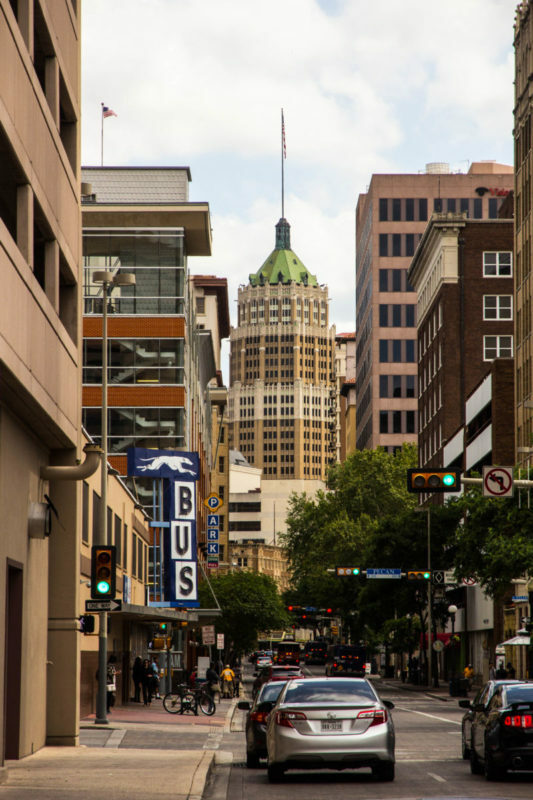 While visiting friends in Austin we took a day excursion to the beautiful city of San Antonio, Texas. It’s just under a two-hour drive between these two places, with very little scenery in-between other than city sprawl. However, once getting there, it was all different. 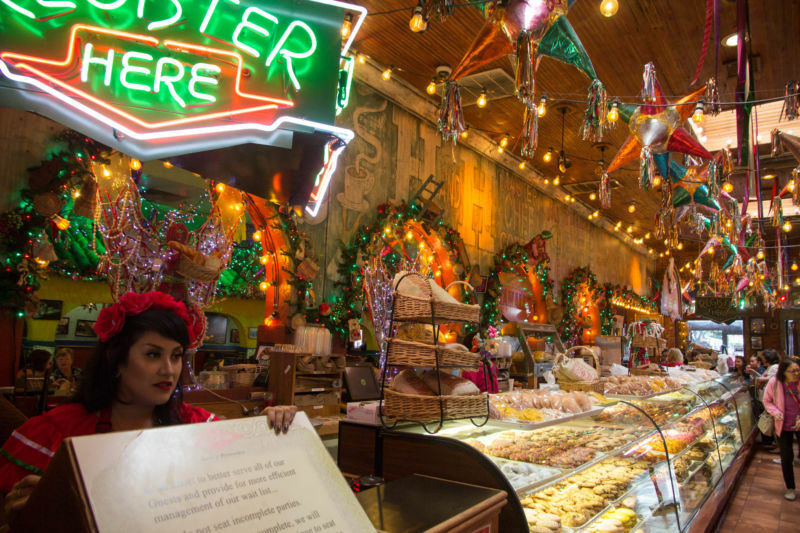 We went there specifically to eat enchiladas from Mi Tierra. That place was amazing! I wrote a whole post about it here. The food, the decor, everything was just wonderful. I loved the party atmosphere. 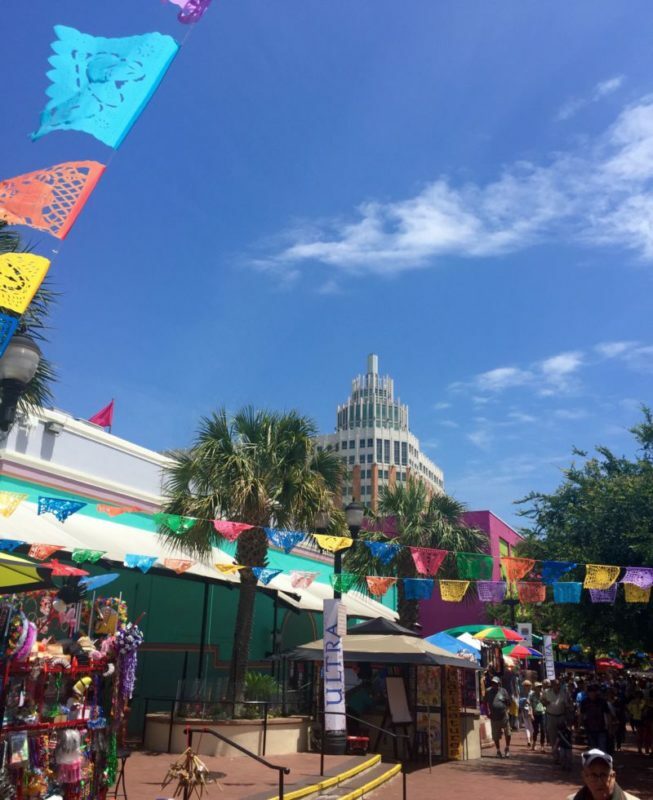 When we arrived in San Antonio, a Fiesta was going on. Apparently this is a normal thing; the streets are often overflowing with vendors and party goers, music, and great food. I wish I had taken photos of the huge mixed drinks that the street vendors were selling; it was a bucket o’ alcohol. No wonder people seemed in such great moods. 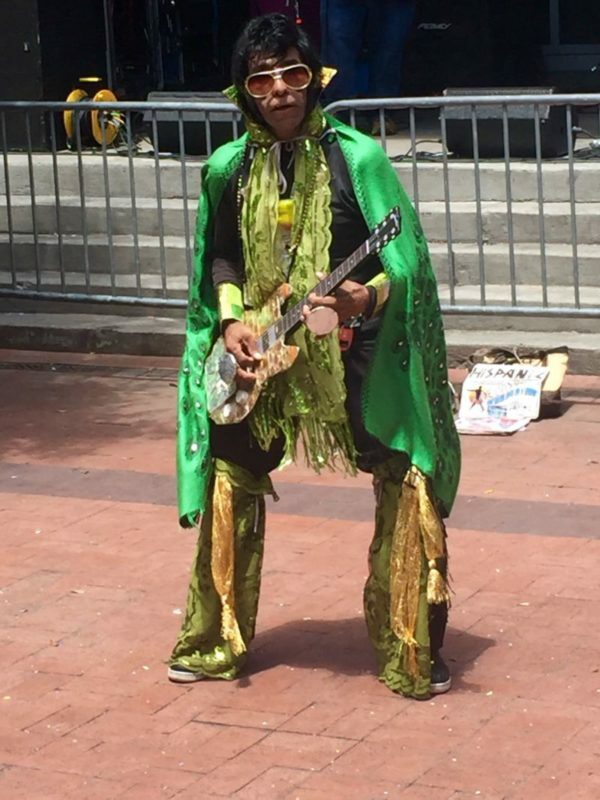 I even managed to run into Elvis; performing in the street. There were several bands, all really great quality, playing. There were women with colorful flower crowns on their heads. The thing I loved was how colorful everything was. All the shops were full of trinkets and Mexican style clothing & goods. My friends and I really enjoyed wandering through all the stalls. The indoor market is permanent and it has just about everything you can imagine. After lunch we wandered over through the downtown area; what a beautiful city. It wasn’t what I imagined at all. 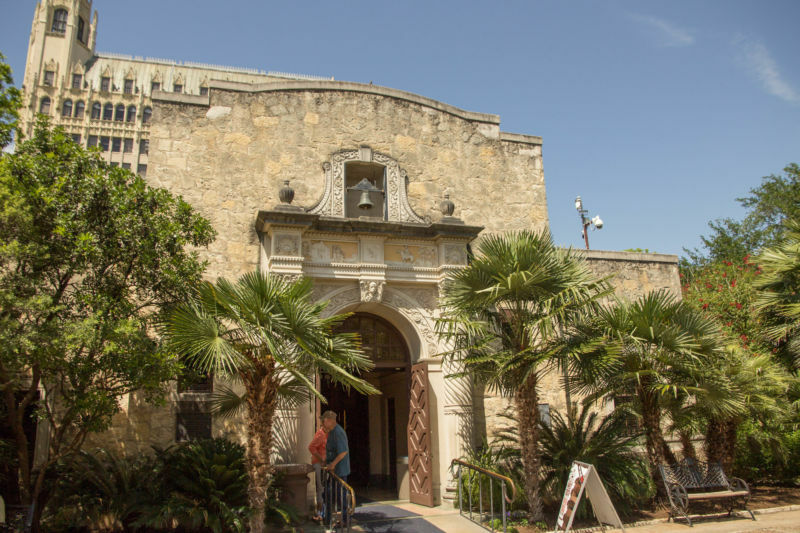 Europeans often talk as though Americans have no interesting architecture; they obviously haven’t visited either Austin or San Antonio. Both cities blew me away with their beauty. I really was expecting a desert “meh” with an old Western feel; what I got was a mix of old and new blending beautifully under a brilliant blue Texas sky. I could see why people love it here. The River Walk had me gasping at its grace and stunning beauty. I felt like it was a more modern version of some of the European canal cities like Bruges or Amsterdam. There is even a boat tour you can take. 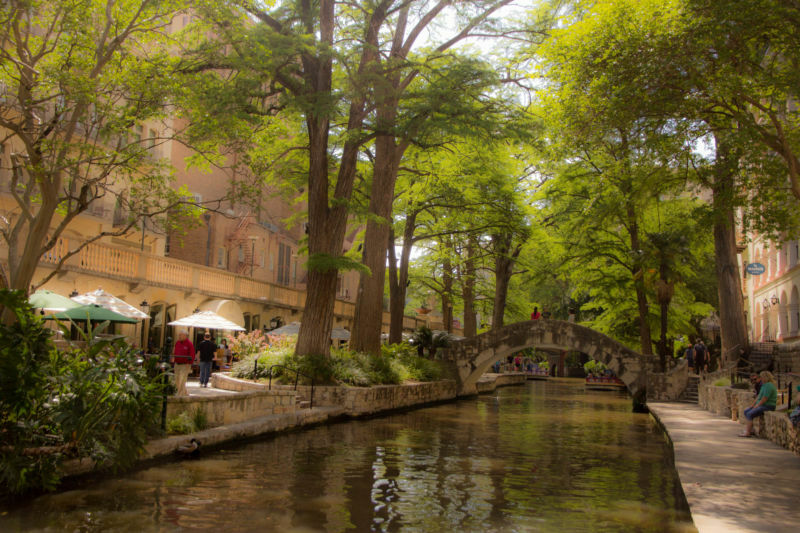 The River Walk is lined with shops, restaurants, and hotels. I have already made plans to take a long weekend and go back to explore all it has to offer. It will have to wait until after the summer has ended as the heat and humidity there are absolutely brutal; especially for this California Girl. The Brit Comments: My experience of The Lone Star State is limited to Dallas, which more closely resembles the Texas that California Girl was expecting. 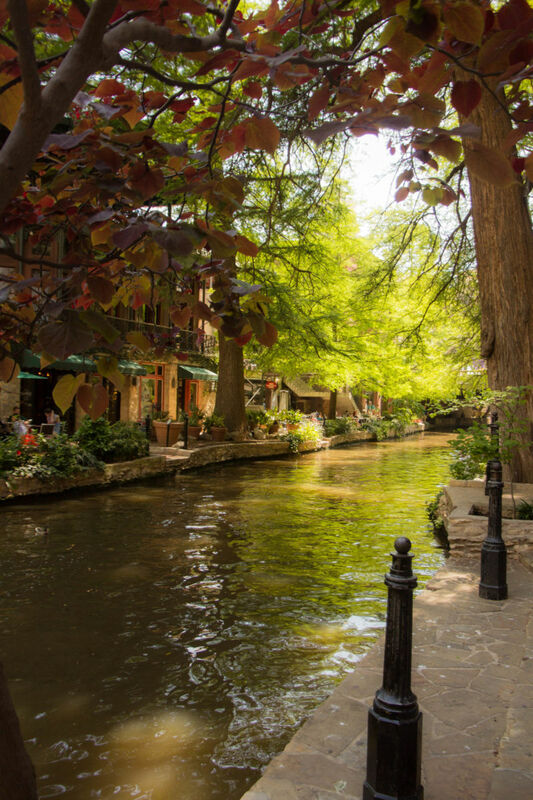 Having read her descriptions of San Antonio, I will be eager to join her on her next visit. 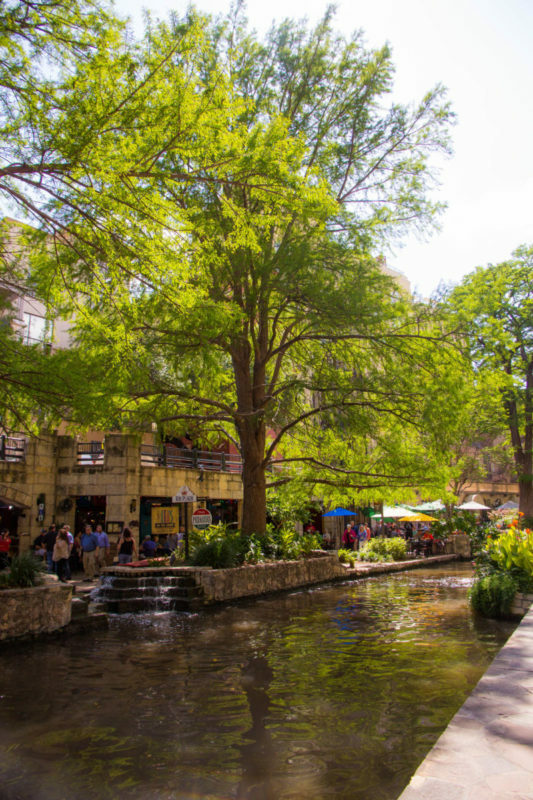 After strolling along the Riverwalk and soaking in all the beauty of the many fountains, cafés, water features, shops, and entertainment, we went back up to the town to find the Alamo. It is located right in the middle of the city. There is a pretty museum, gardens, and lots of interesting history. It sits in a square surrounded again by businesses, restaurants, and coffee joints. It was all clean and very well-organized. I was only sad because I knew how much The Brit loves American history and he was missing out on something great. I will have to make a point to take him with me next time. He would love this. On our way back to the car, walking along the Riverwalk again, we noticed all the restaurants were opening for dinner. Places were touting all you can eat crab and other amazing looking things. We were still stuffed from lunch so we didn’t stay and eat dinner. 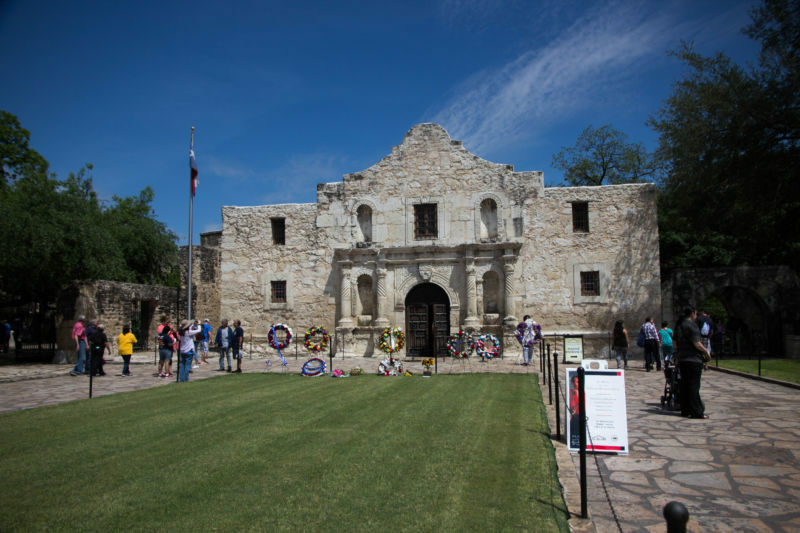 I loved San Antonio, what I got to see of it. Far more civilized, far less Wild West, than I could have imagined. It would be a fun place for a long weekend to eat, drink, shop, and party. That’s what I plan to do on my next visit.